New York City, the city that never sleeps: When booking a flight to New York City be sure to give Charter Flight Group a call to arrange a private jet charter so as to avoid the long security waits and crowded airport terminals. With over 30 years experience in providing private aircraft and jet charters to New York City from countless destinations worldwide, including London and Tokyo, CFG can provide whatever you need in private jet charter travel. Indeed, Charter Flight Group has one of the most impressive fleet options in the private air charter industry with single and twin engine turboprops, small jets, such as Lear jets, Cessna, and many others. In addition, should your private charter require something with greater range and capacity, no problem; CFG can arrange mid-size jets like the Gulfstream G150, large jets like the Falcon 900, and even jumbo airliner jets such as the Boeing Business Jet, which is capable of a private jet flight from London to New York City without refueling. With a firm dedication to safety, we believe that safe flights preclude service and world-class professional service makes the difference between others and us. 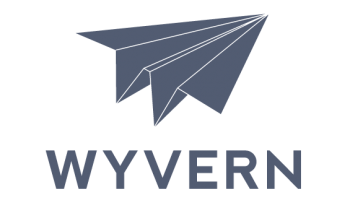 One of the ways we ensure top-notch service and safety is by having renowned flight safety groups ARG/US and Wyvern assist in meeting all FAA requirements. By so doing, Charter Flight Group ensures that every jet charter is ready for flight at a moment’s notice, which is very important for private air clients requiring on-demand flights. In addition, CFG carefully screens every ground and private flight crew for a record of safety and professionalism. These amazing certified ground crews keep all jets in pristine condition and our incredible pilots ensure that your private jet flight is as smooth and comfortable as possible. This all adds up to one thing: Charter Flight Group remains a world leader in the private charter industry. On booking your private jet flight to New York City, CFG expert and knowledgeable charter planners will provide you with several options for landing. Naturally, the choice is yours, but here are some considerations that you may find helpful. Most people choose the impressive, massive, and world leader in airports, John F. Kennedy International, located to the south of Queens on Long Island, New York City. If Manhattan Island is your destination, simply take Intertate Spur 687 northbound.Another favorite, especially for busy executive travelers seeking to travel to Manhattan, is La Guardia. To get to mid-town Manhattan, New York City, simply follow I-278 northwest across the Triborough Bridge. Finally, there are many other airports on the Jersey side of New York City and some of these may be to your preference. Simply discuss your needs with your private jet planner upon calling CFG and we will see to it that your needs are met. A more appropriate question may be, what is there NOT to do in New York City? Indeed, as the largest city in America and one of three commercial centers in the world (along with London and Tokyo), New York City has everything any private charter traveler could want. 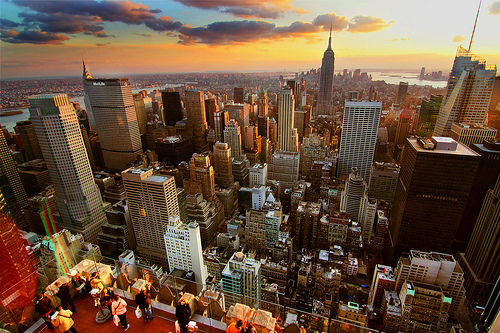 Whether on business or pleasure, New York City has it all. In the business spectrum, one key industry is finance, aka Wall Street and more brokers than could be mentioned in any article smaller than an encyclopedia. Others include new media and traditional publishing, legal services, manufacturing, shipping and transport, tourism and entertainment research in bio-tech, software development, fiber-optics, and many more. The three largest corporations in New York City based on revenue are Chase, Citigroup, and Verizon.If going to New York City for pleasure, then hold on for it is full of twenty-four hour excitement. 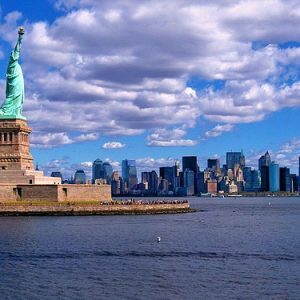 New York City has far more things to do than can be written here, so consider what one trip advisor counts as the three most popular destinations: The Manhattan Skyline, Wicked theater, and Jersey Boys on Broadway. Charter Flight Group has maintained its position as a world leader in the private charter jet flight industry for good reason: We always take care of our clients needs. We see to it that every private charter guest is treated with dignity and respect aboard our all luxury aircraft. We see to it that our clients have choices, whether these involve the kind of flight such as one-way flights, round trip charters, or even empty legs, and on-demand service. At CFG, our expert pilots ensure that our charter clients arrive at their destination well-rested and refreshed by providing smooth, care-free flights every time. And if you have ever flown with CFG in the past, we already know you are about to call your private charter flight planner, for everyone who tries us once, returns.